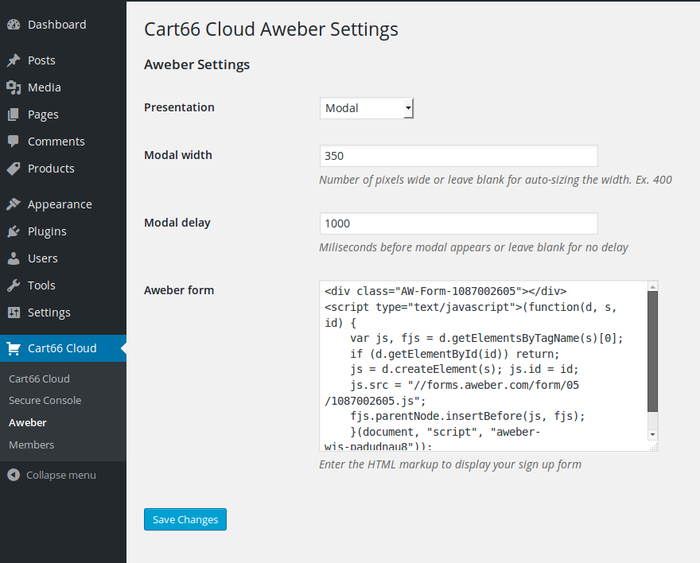 Installing the Cart66 Cloud Aweber plugin will enable you to add a newsletter sign up form from your Aweber account to the receipt page of your e-commerce WordPress site powered by Cart66 Cloud. The easiest way to install the Cart66 Cloud Aweber plugin is to log in to your WordPress admin and go to Plugins -> Add New and search for Cart66 Cloud. When you see the Cart66 Cloud Aweber plugin, click on the Install Now button and WordPress will automatically download and install the plugin for you. There are three modes for presenting you Aweber sign up form. The recommended mode is the Modal which will pop up a modal window on the receipt page so your new customer can sign up for your newsletter. 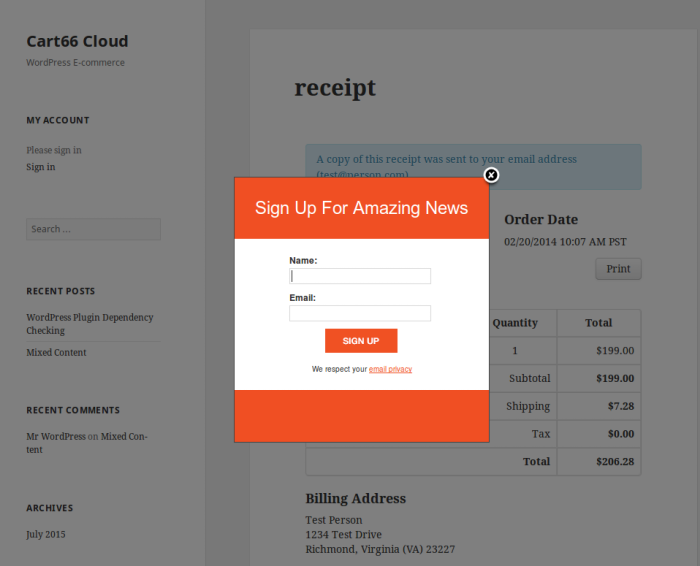 Other available options are to show the sign up form above the receipt or below the receipt. 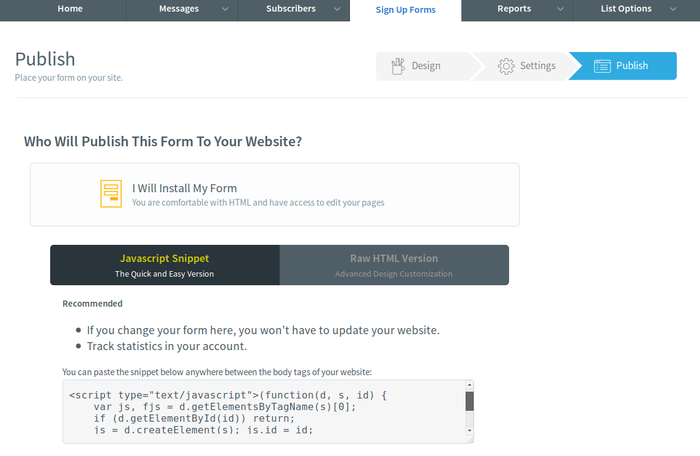 Aweber form: The HTML markup of the sign up form from your Aweber account. Note: The Raw HTML Version of the form works too but is more code to have to copy and paste.